Queensland, the Pacific and Asia share a distinctive geography and history. Queensland is geographically part of the Pacific, separated only by the boundaries of modern nation states. Queensland borders the Pacific Ocean along 2400 km of its east coast, and the Gulf of Carpentaria in the northwestern is opposite where Southeast Asia begins. West New Guinea is part of Indonesia, neighbours Queensland, and straddles the Asia-Pacific divide. Modern national boundaries paper over long-established connections. Until 10,000 years ago New Guinea was joined to Australia via the marshy Torres Strait region. Today’s Torres Strait Islands are as much a part of the Pacific Islands as is neighbouring New Guinea. And Asian connections date from before Europeans entered the scene. Some of the earliest regular visitors to Australia, 400 years ago, were from Sulawesi on annual trepang-harvesting voyages moving along the northern coast as far as the Gulf of Carpentaria, possibly occasionally blown east as far as Torres Strait. The modern connections begin with shipping channels to Asia via Torres Strait and the 1860s dreams of Sir George Bowen, the first Governor of Queensland, to create a new Singapore at Somerset on the tip of Cape York. The first commercial voyages through the Strait began in 1852 with a P&O Sydney-Singapore service. Once steam navigation with iron-hulled auxiliary steamers was established in the 1860s, improved by more efficient compound steam engines and coaling ports, the northern route became viable. As well, ships leaving the Australian east coast used the outer routes around the Louisiades or the Solomon Chain, which also connected Queensland to the Pacific and Asia. This enabled northeastern Australia to be incorporated into transport and communications networks in the Southeast Asian archipelago and to Chinese ports, allowing both imports and exports to increase. 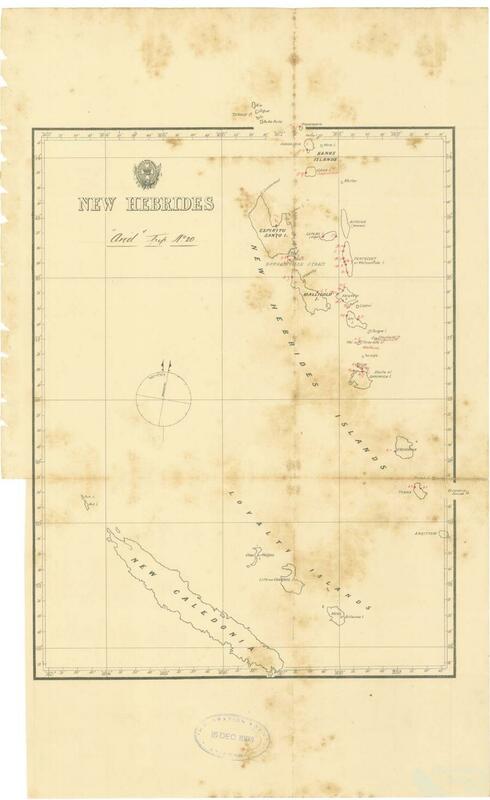 Queensland pushed out its northern boundary in 1872 and 1879, eventually including all of Torres Strait up to a few hundred metres off the New Guinea coast; and in 1883 there was a failed attempt to annex most of the area of modern Papua New Guinea to Queensland, on behalf of Britain. The interest in Torres Strait was to control the maritime industries, safeguard the route to Asia, and through New Guinea to advance imperialism and provide a secure labour supply. Somerset languished, cut off from the Torres Strait pearling industry, replaced by Thursday Island as the northern base in 1877. At the same time, Queensland was reaching out into the southwest Pacific, drawing off indentured labour for the sugar, pastoral and maritime industries until the late 1870s, after which this labour was limited to the sugar industry. 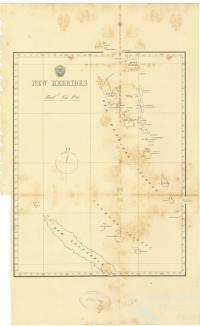 It was a moving frontier, exploiting various groups of islands as far south as the Loyalty Islands off New Caledonia and north to the islands off New Guinea. The islands of Melanesia became a ‘Queensland Lake’ as more than 800 voyages left the east coast ports between 1863 and 1903 to carry around 50,000 labourers to Queensland on 62,000 indenture contracts. The process began with a great deal of coercion in the 1860s and 1870s, and was always culturally exploitative, but grew into a regular labour trade, providing a rolling supply of labour for Queensland and exposing Pacific Islanders to the settler colonial world in Australia. Indentured Pacific Islanders also worked in the Torres Strait, and along with the London Missionary Society pastors have left a large influence among Torres Strait Islanders. 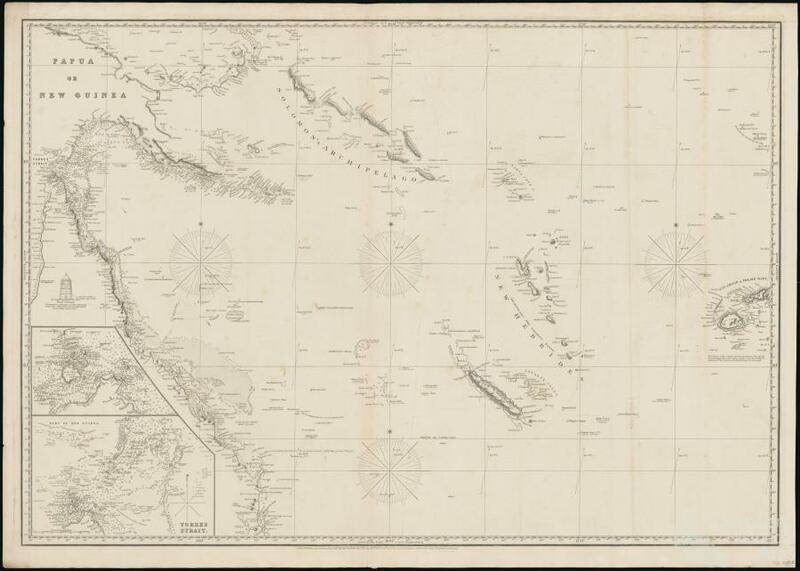 The outreach from Queensland to Asia was slower than into the Pacific, but still substantial. Trade and tourism built up in the final decades of the nineteenth century. 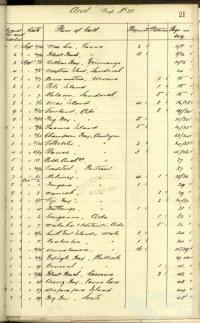 By 1881 there was a British India Steam Navigation Co service which terminated in Brisbane, and the beginnings of regular trade and tourism. In the 1890s, a monthly service began through Nippon Yuan Kaisha (NKY) from Japan and Hong Kong to Brisbane, with connections to Britain. The shipping service expanded in 1902 when a Dutch company Koninklijke Paketvaart Maatschappij (KMP) began servicing Sydney, Brisbane, Samarang and Singapore. Queenslanders began to take grand tours of Asia: for example, Thomas Finney of Finney Isles & Co, a Brisbane retail company, toured China and Japan in 1888, interested in making connections to import curios; Sir Thomas McIlwraith, a leading capitalist and Premier, toured Japan in 1889; and Thomas Mowbray, Commissioner for Minerals and Land at Charters Towers toured Asia for four months in 1894. Investment followed: the Raub Australian Syndicate gold mine on Pahang River in the Malay hinterland, established in 1888-89, had Queensland investors and board members and featured in the Queensland press. Chinoisieri and Japanophile folding screens, umbrellas and silk cloth flooded onto the Queensland market in the 1890s and 1900s. The Miji government in Japan recognised Australia as a potential tea market, and began to purchase wool and coal. Japan removed duty on wool and subsidised its shipping line to Australia. Once America took over the Philippines, Queensland developed a beef export trade there, worth over £80,000 by 1900. Chinese migrants entered Queensland in large numbers in the 1870s, heading for the northern goldfields. There were 18,000 Chinese miners on the Palmer River gold field in 1877, and once the rushes declined many made a living in agriculture and retail trade in the north. Cairns began as a Chinese-dominated settlement and Chinese spread through the Atherton Tableland, Ingham and Innisfail districts. To supplement Pacific Islands labour, Asia was also tapped, bringing Malays, Singhalese (Sri Lankans), Filipinos and Japanese into Queensland’s maritime and agricultural industries. 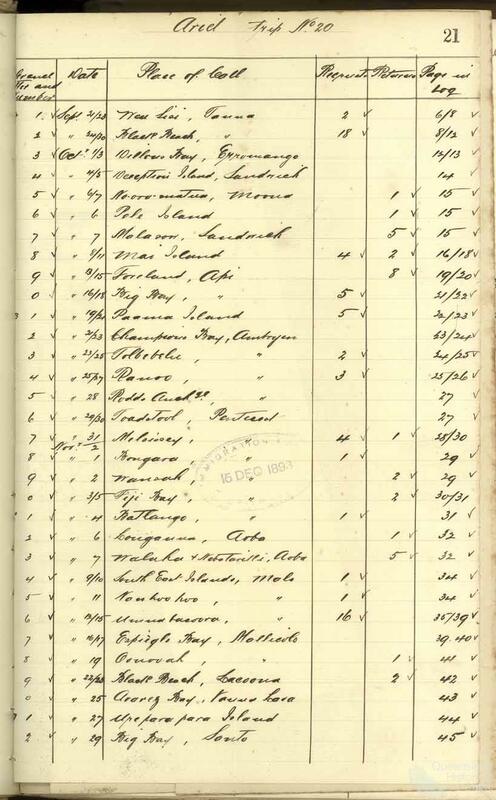 The Queensland census statistics are revealing: in 1891 there were 8527 Chinese, 1748 ‘Other Aliens’ (predominantly from Asia) and 8587 Pacific Islanders, among the total immigrant population of 393,738. By 1901 the census enumerated 9313 Chinese, 2269 Japanese, 939 Indians or Singhalese and 1787 ‘Other Aliens’, among a total of 503,266. In the final decades of the century, non-European immigrants made up around 4.65% of Queensland’s non-Indigenous population. As a result, in 1895 Queensland refused to introduce a Chinese Restriction Bill advocated by the southern colonies, and was the only Australian colony to sign the 1894 Treaty of Commerce and Navigation between Britain and Japan. Japan’s first Australian consulate was established in Townsville in 1896, to supervise the thousands of Japanese indentured workers. In the nineteenth century Queensland incorporated Asians and Pacific Islanders into its economy in a way never attempted in other Australian colonies. All of this came to an end with the new Commonwealth of Australia’s ‘White Australia’ legislation in 1901 which stopped further non-European immigration, and although the Asian and Pacific Islander communities eroded, they have remained substantial, and make Queensland a different ethnic mix from other states. Thursday Island remained an Asian port and home to five flourishing Asian communities, and industries like banana-growing in North Queensland were dominated by the Chinese, who also had substantial retail and agricultural interests at Ingham, Innisfail, Cairns, and on the Atherton Tableland. The Chinese pattern was a first generation of gold miners who became farmers and retailers, a second generation that entrenched business skills, and the third and subsequent generations went into the professions. For instance, in Townsville in the 1960s and 1970s, the Leung family controlled about one-third of the supermarket trade in the city. Pacific Islanders suffered continuing racial discrimination and remained domiciled on the fringes of the same sugar towns where they had once been an integral part of the labour force, often living in a semi-subsistence style. However, the large families of the second and third generations meant that they have built up to a substantial largely coastal community of more than 20,000 today. The Pacific also became important to Queensland during World War II when the Japanese invasion reached New Guinea and the Solomon Islands, and the Allied fight-back orchestrated from Brisbane involved huge concentrations of troops along the coast and on the Atherton Tablelands. The long-established connections between Queensland and the islands continue to be exploited, with a re-birth since the 1980s. The tourist ship trade into Melanesia begun by Burns Philip and Co carrying passengers on their trading ships in the 1880s, has continued fairly constantly ever since; tourist ships visit Queensland ports and neighbouring islands. Direct flights link Port Moresby, Honiara, Vila, Noumea and Nandi to Brisbane, as well as Cairns to Port Moresby, and Coral Sea shipping using Queensland’s ports make trade and tourism links easy to foster. Since the 1980s, weekend package tours out of Brisbane to Honiara, Vila and Noumea have become common, as have packages for residents of Melanesia wanting to spend time in Queensland. The Pacific population of Queensland began to grow again at about the same time. There are now around 22,000 Papua New Guineans living in Queensland, most of them in the Greater Brisbane Region, and there are said to be 30,000 people of Samoan descent living in the Logan-Ipswich corridor. Other concentrations of Pacific Islanders are in Brisbane bay-side suburbs and around Cairns. At a cultural level, Queensland has many congregations in churches dedicated to Korean, Chinese, Samoan and Tongan Christians, as well as substantial Buddhist temples. The Queensland Art Gallery holds significant Asian and Pacific art collections, largely but not totally purchased through the series of Asia-Pacific Triennials begun in 1993, recognition of belonging to the region. Trade delegations move back and forth and political and diplomatic links are firm. Since the 1980s, the Queensland government has tried to develop closer trading relations with its Pacific neighbours. Wayne Goss’s visit to Papua New Guinea in 1991 was the first by a Queensland Premier and the first by an Australian premier since Independence in 1975. Prime Minister Paias Wingti made a reciprocal visit in 1994. In the 1990s, both Papua New Guinea and the Solomon Islands established trade offices at their consulates in Brisbane and the Cairns-based Far North Queensland Export Group actively seeks markets in Southeast Asia and Melanesia. Pacific Prime Ministers, cabinet ministers, government officials, church and NGO representatives and business people from the Pacific are constant visitors to Cairns and Brisbane. The Pacific middle class has made substantial property investments around Cairns, Brisbane and the Gold Coast. Medical evacuations are often to Queensland hospitals, and thousands of Melanesian students have received their secondary and tertiary educations in Queensland, ensuring long-term personal ties. Melanesian church groups have also made regular visits to Queensland over the last three decades, linking up with the State’s South Sea Islander communities. In 1998-99 Queensland exported $400 million of goods to Papua New Guinea and received $629 million in imports. In 2010 the exports were $580 million and imports are $2453 million. During the 1990s, Papua New Guinea became (and remains) Queensland’s twelfth largest trading partner. The other neighbouring Melanesian nations, although smaller, also add substantially to Queensland’s trade. The most recent phase of the relationship has been large-scale Asian investment in Queensland’s resources, particularly coal and property. Japan leads the way as the state’s premier export destination and third-ranking import base: in 2008-09 Queensland had $16,775 million worth of exports to Japan and $3470 million worth of imports. India, Korea and China also rate high in receiving Queensland exports, and China is now Queensland’s major import base, exceeding the USA and Japan. All of this has developed over the last three decades. In the 1970s, Japan’s Iwasaki Sangyo Company became notorious for tourist and cattle development plans at Yeppoon, which never really progressed. Since the 1980s, Japan’s investment in tourism on the Gold Coast has been substantial, with multiple golf courses and tourism accommodation. The Japanese also purchase large amounts of Queensland coal and alumina. Initially World War II sensitivities stirred, although this has now abated. Coal is now Queensland’s major export commodity and coal seam natural gas is becoming important. The development of the Bowen and Galilee coal basins and the associated rail and port infrastructure since the 1970s has been a major stimulus to the Queensland economy. Deals such as the Waratah coal project involving the Metallurgical Corporation of China in 2010—involving 7.4 billion tonnes—will double the exploitation of Queensland’s coal. Queensland’s Asian population is substantial, bolstered since the 1970s by Indochinese, Chinese from Singapore, Hong Kong and Taiwan, and Japanese. Based on 2006 statistics, there were then 3,904,533 Queenslanders, 111,019 of whom were born in Asia. A similar number (99,435) spoke an Asian language at home, predominantly (46%) one of the Chinese dialects. The colony of Queensland once supported the immigration of Asian and Pacific Islander labourers, and encouraged trade with Asia, exploiting its nearness to these markets. For much of the twentieth century the connection remained only through the residual populations in Queensland, and in recent decades Queensland has bound itself to producing raw materials for the Asian economy, while importing Asian manufactured goods. The connection with the Pacific Islands will also continue to grow, but more slowly, based on proximity and the fast increasing populations and consumerism in the islands across the Coral Sea.